Plaza Ambulatory Surgery Center is a multi-specialty outpatient surgery center with over 50 participating Physicians. Our surgeons, staff and anesthesiologists have an outstanding record of excellence providing the highest level of care possible in a comfortable and efficient environment. Our center is a safe and convenient high quality, lower cost alternative to inpatient hospitalization. 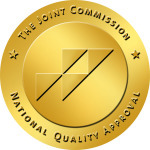 Plaza Ambulatory Surgery Center is Oregon State licensed, Medicare certified and accredited by The Joint Commission – The highest level of accreditation an outpatient surgery center can achieve. Plaza Ambulatory Surgery Center serves the Portland area, and is located on the first floor of the Providence Professional Plaza at the Providence Portland Campus.